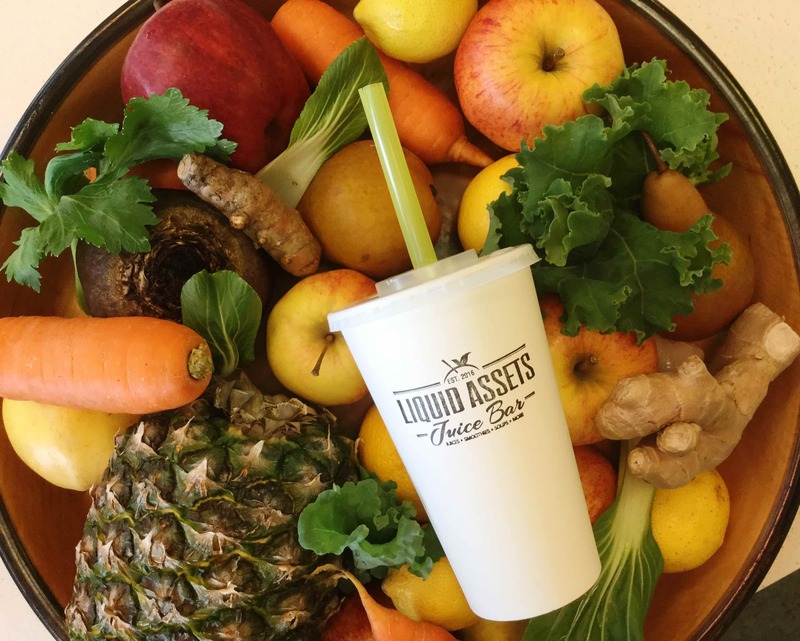 Liquid Assets are passionate about creating healthy, all-natural juices and smoothies from a fresh and vibrant array of produce. They’re stoked to be here in the heart of Dunedin, bringing something fresh and wholesome to the city and to offering a wholly locally-owned, friendly and welcoming service to their steadily growing customer base. Liquid Assets’ menu creatively blends classic flavours with new and innovative ingredients; there's plenty to choose from, plus a bunch of healthy extras to put a little more spring in your step. Their house-made nut milks form the base for a number of smoothies, alongside green tea, coconut water and freshly pressed fruit juices. Blended with fresh fruit, vegetables, spices, cacao and loads of other great ingredients there is a smoothie for everyone! Juices are cold-pressed - a method which preserves the nutritional value of the whole food to create a high-quality, phytonutrient-rich, packs-a-real-health-punch cup of goodness. Smoothies and juices are all made to order and their customers certainly appreciate the time and care taken to create such a healthy, but nonetheless quick, takeaway option in the heart of the city. Liquid Assets also serve hearty home-made soups and have a great range of loose-leaf 'Stir-Tea' and fantastic Grid espresso coffee for those chilly Dunedin days (not that there's many of those!?). All of juices, smoothies and soups are gluten-free and vegan. Liquid Assets are open 8am - 5pm Monday to Friday, and 10am - 4pm on Saturday. To redeem this deal simply show this screen at the checkout to receive your discount.